Spark a sense of adventure in your kids this school break with our list of fun-filled outdoor activities, from treetop adventures and park playtime to adorable animal encounters! 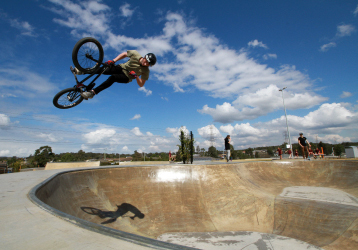 This new complex at Cameron Park features one of Lake Macquarie’s biggest sporting fields, along with a skate park and loads of other sport and recreation facilities. 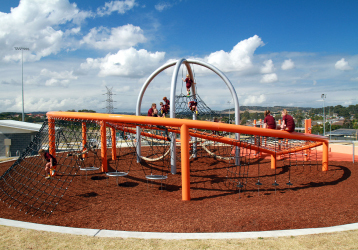 Kids can enjoy the cricket practice nets, netball courts, a 1km shared pathway loop, outdoor fitness equipment, a dedicated parkour area and a giant playground (with separate climbing areas for younger and older children). 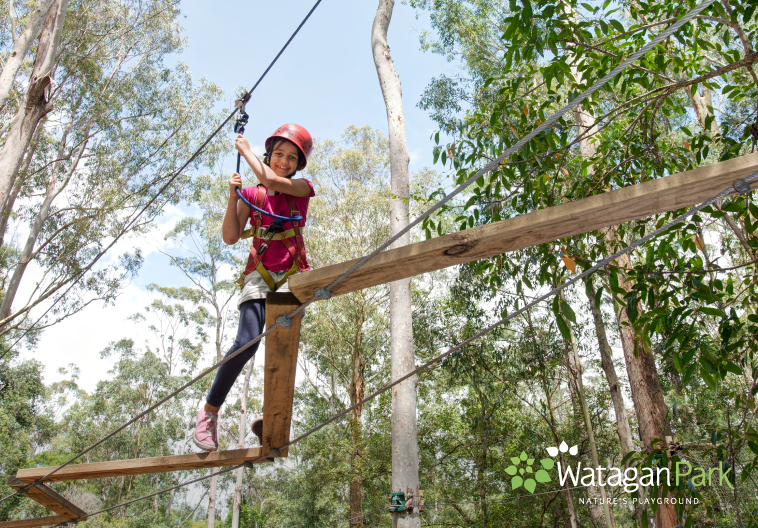 Get the kids outside into the Australian outdoors with TreeTops’ natural playground at Ourimbah State Forest. They can follow self-guided rope courses with over 100 elevated obstacles including rope ladders, wobbly bridges, tunnels and cargo-nets, all varying in difficulty. For more fun, they can glide down a rollercoaster zip-line or take up a vertical challenge and climb a massive eucalyptus tree. Head to the Central Coast for a hands-on zoo experience with some of the most exotic reptiles from around the world as well as Australian native animals. There are live entertaining shows, themed exhibits and behind-the-scenes tours for the whole family to enjoy. You can also book your little aspiring zookeeper in for some of their animal handling programs, or camp overnight with the park’s Aussie Bush Wildlife Sleep Out, which includes campground activities like damper making and toasting marshmallows. If you haven’t been to Speers Point Park yet, you must make a day trip these school holidays. Regularly voted as one of the best in New South Wales, it has something to offer for kids of all ages, with a giant nine-metre spiral slide, a 12-metre high climbing structure (including climbing spider web nets), a double flying fox, a maze, a range of swings, a bike circuit, a wheelchair accessible play boat as well as a cafe within the fenced-in complex. Located right on the shores of Lake Macquarie, it makes for a great day out for the family. This petting zoo at Mandalong is full of heart. The farm only includes rescued, surrendered or orphaned animals, and allows children to interact with a mix of furry and feathered friends, including rabbits, guinea pigs, chickens, goats and loads more. From farmstay accommodation to friendly farm animals and mazes to explore, Amazement Farm offers activities for the whole family. Located at Wyong Creek, they really have it all with magical mazes, a petting zoo, a kids’ playground, bike track, enchanted forest walk and bird sanctuary with various shows throughout the day.